This morning in Treviso Sangemini Trevigiani Mg.K Vis Vega was officially presented to the press and fans. In the wonderful Palazzo dei Trecento president Demetrio Iommi with team manager Angelo Baldini and the sport directors Emiliano Donadello and Maurizio Frizzo, have shown the ambitions of the continental team in view of the seasonal debut, which will take place next Sunday, February 17th, at Trofeo Laigueglia. 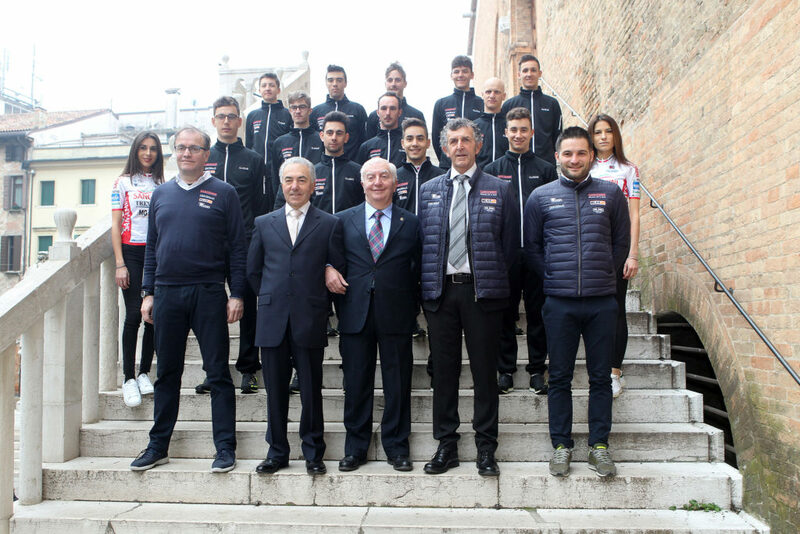 Justified absent Michele Scartezzini and Dario Puccioni, who are going to race Tour of Colombia with the Italian National team, on the stage marched with the new uniform and Olmo bikes Leonardo Bonifazio, Marco Cecchini, Riccardo Ciuccarelli, Antonio Di Sante, Domin Krzysztof, Geremia Goffi, Nicola Graziato, Fabio Mazzucco, Gianni Pugi, Niccolò Salvietti, Paolo Totò and Filippo Zana. To applaud the 2019 group among the many authorities present, the sport councilor of the town of Treviso Silvia Nizzetto, superintendent Maurizio Dalle Mura, the general secretary of the Italian Cycling Federation Maria Cristina Gabriotti, CONI provincial delegate Giovanni Ottoni and all the sponsors that will support the growth of these young riders who will compete in both the Under 23 and professional categories. 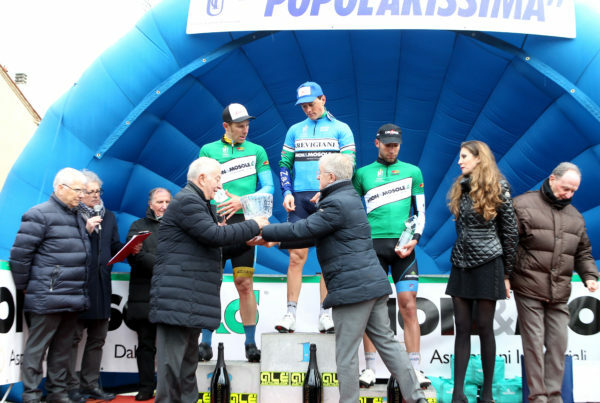 An the end, the president of the Trevigiani Cyclists Union Ettore Renato Barzi, after having wished everyone a season full of satisfactions on behalf of the entire council, presented the 104th Popolarissima, the classic race organized by UC Trevigiani, which this year will be staged on Sunday 17th March.